After releasing two posters of Salman Khan from two different age groups (one old and the other young), the makers are now embarking with the third poster. All the posters seem to be interesting and amazing ones. Ali Abbas Zafar, the director of the film is leaving no stone unturned to make things interesting before the trailer finally hits the screen. The salt and pepper look of Salman Khan has impressed one and all. One poster showcases Salman in 2010’s avatar, while the other poster reflects the Salman Khan of sixties. Salman Khan is the stunt artist, while Disha Patani is playing the trapeze artist role. 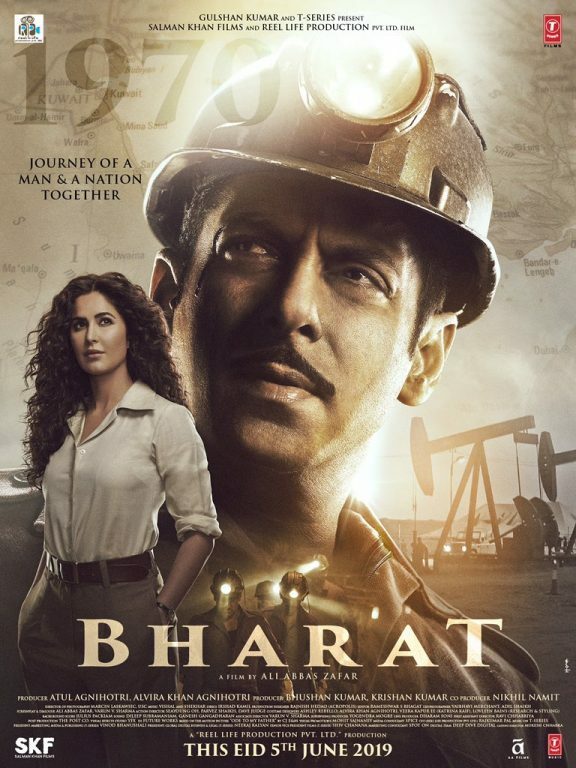 Now, if you look at the third poster, you can find both Salman Khan and Katrina Kaif in it. The film is set at the backdrop of the sixties and seventies and it will give a subtle official like look along with having Khan as a minder. The poster also has the comedian Sunil Grover in it who works with Salman Khan as a co-worker. Talking about the trailer release, Salman Khan said that he has seen the trailer and soon the audience will get the same giving the perfect glimpse of the film. He said that the film is outstanding and you have to believe it as it comes straight from the horse’s mouth. The film Bharat happens to be the remake of the Korean movie called An Ode To My Father, while it talks about the life of a simple man who walks tall. The film also has Tabu in it, while it is expected to hit the screens during the eve of Eid.